Most cells in the human body contain DNA, so if you wanted to extract DNA from a living person, what you'd really need is that person’s cooperation. For example, if you are curious to know whether you inherited your unusually high number of Neanderthal genetic variants from Mom or Dad, you could ask one or both of them to get a DNA kit. Your parents would then spit in a tube or swab their cheek to provide a cell sample for DNA analysis at a commercial lab. Many other cells in the body can also be used for DNA testing. Forensic scientists routinely extract human DNA from hair follicles, saliva, white blood cells and sperm found at crime scenes. Some labs also accept samples of urine, feces and vomit for DNA testing. Nuclear deoxyribonucleic acid (DNA) is located in the nucleus of a cell and holds the blueprint of an organism. DNA directs all activities taking place in the cell. Living cells also contain a small amount of DNA in the mitochondria, the cell’s energy producer. Mitochondrial DNA is inherited from the mother and used to trace maternal lines in ancestry. DNA is a molecule comprised of nucleotides: phosphate, sugar and four nitrogen bases. The bases include adenine (A), thymine (T), guanine (G) and cytosine (C) linked together in long chains forming the DNA double helix. The order of the bases on the chain carries biological instructions for inherited traits, cell growth and overall functioning. The National Human Genome Research Institute indicates that the human genome contains about 3 billion nucleotide bases and 20,000 genes. 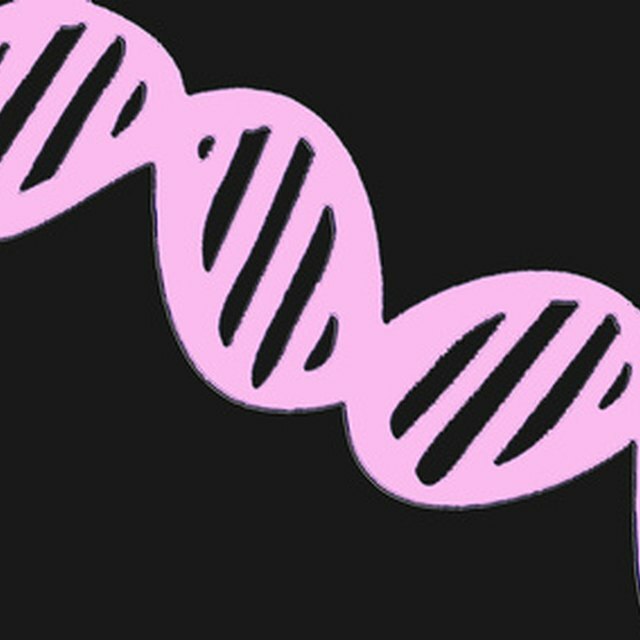 Given the infinite number of possible pairing of bases, DNA is different in every person, with the exception of identical twins. Not all cells in a living person have a nucleus, which limits their use for DNA analysis. Flakes of skin, strands of hair and nail clippings are dead cells that no longer have a nucleus, for instance. Determining which type of blood cell is used for DNA profiling depends on whether the cells have a nucleus. Maturing red blood cells destroy their own nucleus to increase oxygen capacity. However, other types of cells in blood have a nucleus, which is why blood and body fluid evidence is carefully collected and analyzed. Hair samples are most useful when a strand of hair – comprised of keratinized dead hair cells – has an attached root. For example, if there was a fight and somebody’s hair was pulled out by the roots, nuclear DNA could be extracted from cells in tissue of the hair root. Each individual has a unique set of hands and fingerprints determined by DNA. Forensic technicians hunt for fingerprint and DNA evidence to establish the identity of victims and perpetrators. Through the DNA profiling process, forensic scientists compare the DNA profiles of two individuals looking for a match. For example, they might match the DNA profile of a suspect in custody with the stored DNA of a previously convicted offender. According to the National Institute of Justice, only certain types of cells in the human body, like white blood cells, provide enough usable DNA to help identify or rule out a suspect. Strict protocols apply to the collection, storage and analysis of DNA for purposes of criminal investigation. The NIJ suggests items and locations where possible sources of DNA from a living person can be found. Sweat and skin cells on a gun handle. Hair roots on hats, brushes and pillows. Mucus and ear wax on tissues. Saliva on cigarette butts, cans and bottles. Blood and body fluid stains on carpet. U.S. National Library of Medicine: Genetics Home Reference: What Does It Mean to Have Neanderthal or Denisovan DNA? How Are Genes, DNA & Chromosomes Linked Together? Mary, Dr.. "What Cells Would You Use to Extract DNA From a Living Person?" 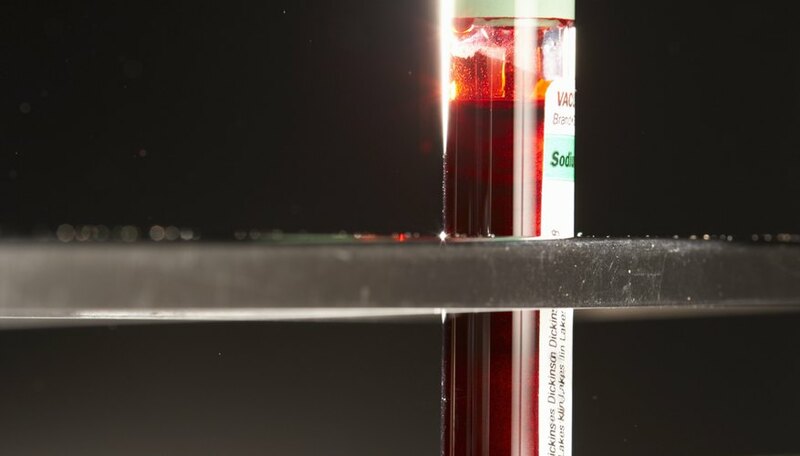 Sciencing, https://sciencing.com/cells-would-use-extract-dna-living-person-12462.html. 25 March 2019.